This is very weird. 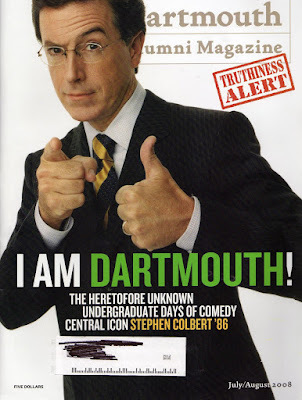 My alumni magazine has fictional alumnus Stephen Colbert on the cover this month. Maybe I'll bother reading it for once. The article is an account of his time at the school he claims to have graduated from, hanging out with that shady crowd of Reviewers like Laura Ingram and Dinesh D'Souza, running from bears and so forth. Like Dartmouth itself, the magazine is pretty traditional (read: lazy), so it doesn't have a website, I had to scan the cover. (This also explains why they call or write at least once a week asking for donations -- people who knew that I was grad student who was on full financial aid during my time there wouldn't bother.) Anyhow, since they don't seem to have computers, maybe I'll scan the story as well, I just don't want to get in trouble with a school I have no intension of ever giving money to. Update: These people have the full article. Through some internet miracle I scored absurdly good tickets to today's rout of the Seattles. Like best seats in my life tickets. Last week. For face value through the team website. Which is supposedly impossible...except that it actually isn't, as this grainy screenshot (that you'll have to trust is me on television) demonstrates. Ticket resellers are a drain on society. At least the part of society that likes going to baseball games. Ordinarily, I would post something like this and say "hey look at this video that humorously acknowledges science/math concepts!" This really contains no actual information, but is so clever and vulgar that it just doesn't matter. Plus I've got the same shirt as that kid, so you know, excellent work. 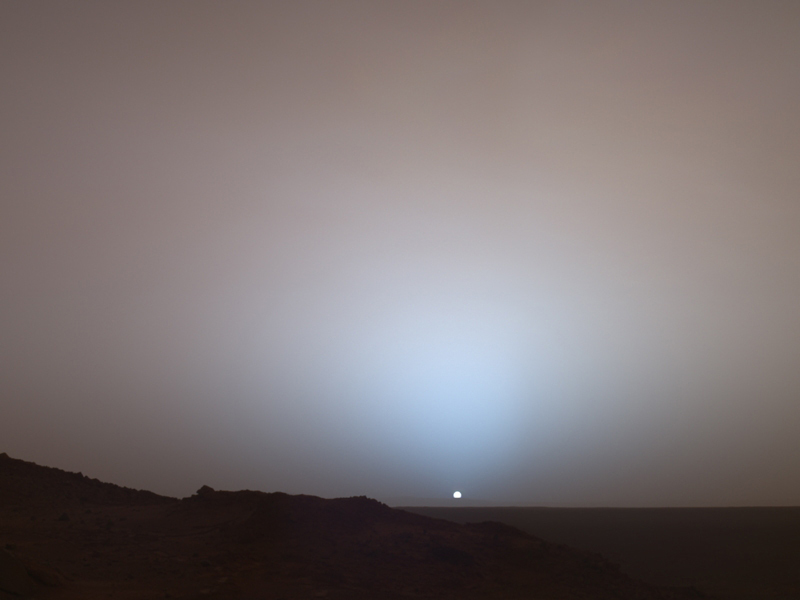 From NASA's Image of the Day, an artistic shot of the sun going down on Mars. 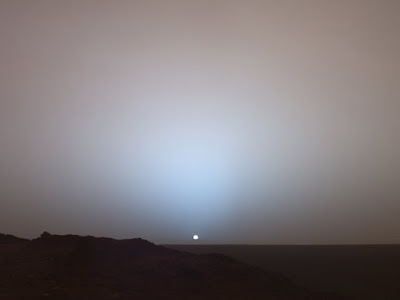 In addition to being really beautiful, it certainly raises some important questions, such as: there's an alternative to the reviled (by me) Astronomy Picture of the Day?